This lightweight cream-to-powder Blush blends with your skin and gives it a naturally luminous, radiant finish. applied on the cheeks cheeks conjures the blush on your cheeks a rosy light. 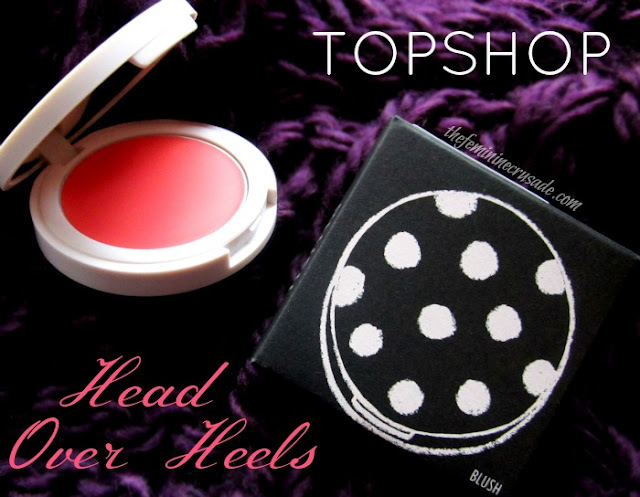 Topshop Blushes are of a cream to powder consistency each containing 4g of product. If I have to recommend one brand for cream blushes to anyone, it would be Topshop. 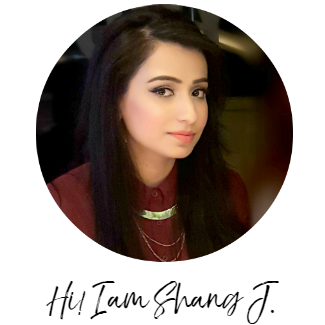 They are affordable, have a gorgeous range of shades and are of a beautiful formula. Also the packaging is definitely cute, all the black polka dots over the white, although the matte surface tends to get dirty quite easily and quickly. 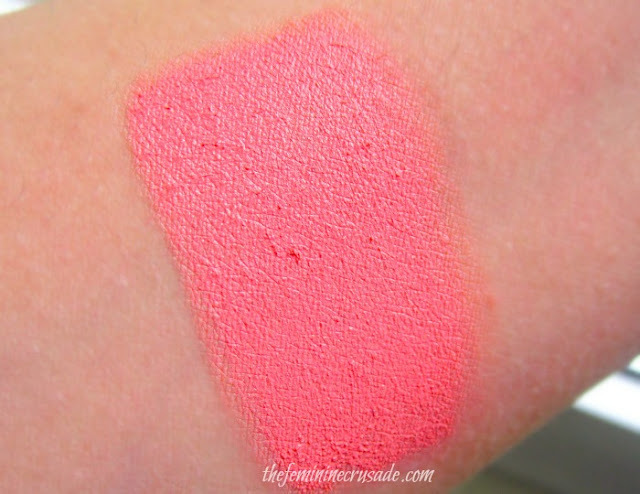 Head Over Heels is a very pretty, girly, summery pinky-coral. It has a cream to powder consistency, which means it feels creamy when applying but sets to a powdery finish. The blush is super pigmented, so be careful while applying it, moderately creamy that it won’t get greasy and blends well on the cheek. As I mentioned in my one Weekly Highlight post, Head Over Heels and Sigma F55 are my fave duo. They go so perfectly together. You can also apply it with your fingers but I prefer my brush. Head Over Heels leave a radiant, dewy flush, stays for a good 3-4 hours and then starts to fade. I literally use this blush A LOT. It could be my on-the-go product. 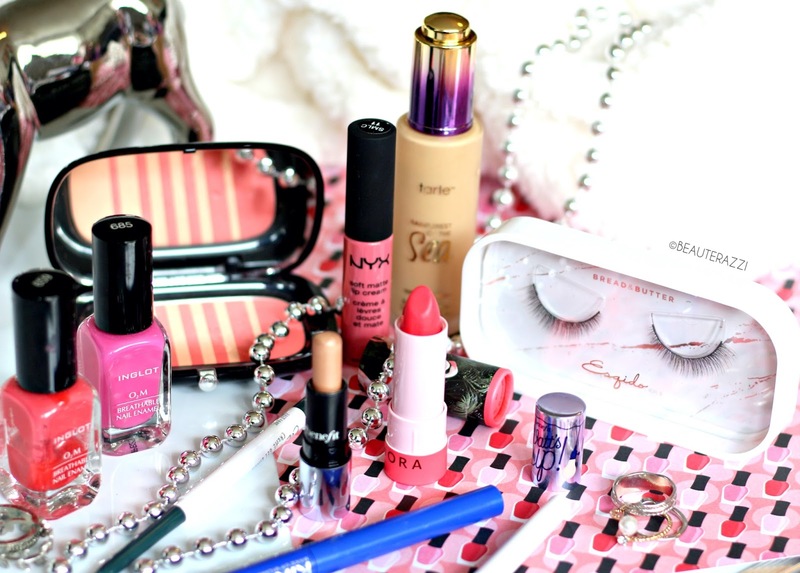 I love me a fresh, radiant face and coral is one shade which suits me so nicely. I do find Head Over Heels a universally flattering shade. 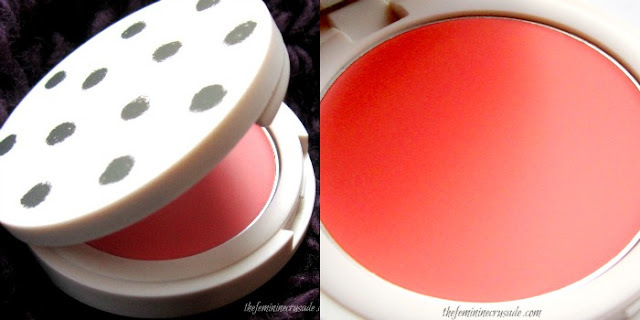 The best cream blush and the best coral shade I own!